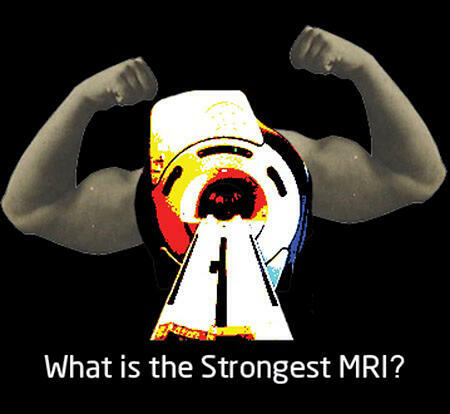 What is the Strongest MRI Machine Today? MRI technology has been around since the mid-1970s. MRIs employ powerful magnets which produce a strong magnetic field that forces protons in the body to align with that field. When a radio-frequency current is then pulsed through the patient, the protons are stimulated,and spin out of equilibrium, straining against the pull of the magnetic field. When the radio-frequency field is turned off, the MRI sensors are able to detect the energy released as the protons realign with the magnetic field. The time it takes for the protons to realign with the magnetic field, as well as the amount of energy released, changes depending on the environment and the chemical nature of the molecules. Physicians are able to tell the difference between various types of tissues based on these magnetic properties. Scientists once believed that 0.5T would be the maximum magnet strength for MRI. But MRI has evolved to 1.5T, then 3T and even 7T. The leap from 3T to 7T cause more pronounced biological side effects, like dizziness and vertigo as patients move in and out of the scanner. Some patients could taste metal or see a white flash. But the biggest concern at 7T and above was involuntary movements of the brain inside the skull. But while there were increased side effects, the images of 7T were able to reveal structures smaller than 1 millimeter. You could see all the brain’s details without opening up the brain, like the six layers of the cerebral cortex. But now, the strongest MRI machines in the world are pushing human imagery even further. In December 2017, the University of Minnesota’s Center for Magnetic Resonance Research conducted an MRI with a 10.5-tesla magnet, which weighed almost three times more than a Boeing 747 and is 50% more powerful than the strongest magnets approved for clinical use. It cost $14 million. It’s has a four-meter-long tube that’s surrounded by 110 tons of magnet and 600 tons of iron shielding. It’s a very exciting development in magnetic imaging. The MRI scan has such fine resolution that it can reveal details of cartilage. There is an even more powerful MRI scanner at the US National Magnetic Field Laboratory, but it can’t be used on humans. The interior space is only 10.5 centimeters in diameter so it can be used for small animal testing. It’s a 21.1T machine. But the amount of heating that’s generated by machines over 20T can be problematic. It could stimulate peripheral nerves or damage DNA, although researchers haven’t experienced that as of yet. 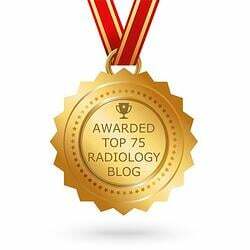 While we don’t know how much further MRI strength can go, the future looks bright for better and finer imaging, which will help diagnosis and treatment. 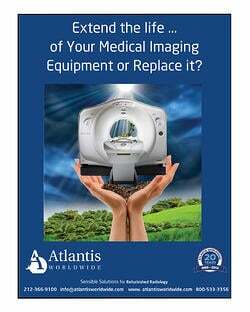 At Atlantis Worldwide, we are always watching for what’s next in MRI imaging. 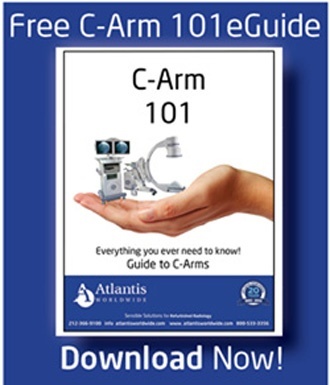 As one of the top resellers of used and refurbished MRIs, we are here to answer any questions you may have about magnetic resonance imaging for your practice, clinic, hospital or healthcare facility. Contact Us Today!